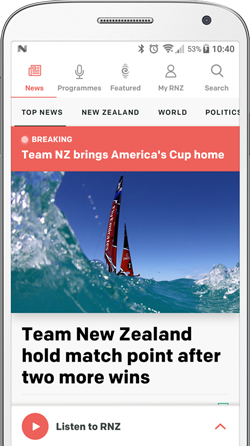 Sky Television has expressed surprise Fairfax and NZME have decided not to go to Brazil to cover the Olympic Games. Both media organisations say Sky is using its broadcasting rights to the Rio Games to unfairly curtail news coverage of the event. But Sky's director of communications, Kirsty Way, disagreed. She told Checkpoint with John Campbell New Zealand was one of only three countries where non-rights holders would be able to use video clips from Rio. Ms Way said she was surprised at the move by Fairfax and NZME. "It looks like the key issue is access to video clips to play online and interestingly only two countries in the world, apart from New Zealand, have been given rights to screen video clips of the Olympics; and that is Australia and the UK." She would not reveal how much Sky had paid for the broadcast rights but said the cost, including sending staff and production costs, was in the millions. "We've got about a hundred people going over to Rio," she said. "They want to use the footage that we've paid dearly for to make more revenue for themselves. We have to put some boundaries on that because we've paid dearly for exclusive rights in this country." But New Zealand Herald managing editor Shayne Currie said Sky were trying to remove fair-use provisions. "Where Kirsty says this is the most generous rules and rights in the world, that's absolutely wrong. In Britain, for instance, [the rules] absolutely contain a complete carve-out [of] fair dealing provisions, enshrined in the rules. Sky TV are trying to undermine New Zealand law. "We're not trying to screen these events live, we're simply saying that under New Zealand law we have a right to some." Fairfax Media's group editor Sinead Boucher argued a similar point when she spoke to Mediawatch. "It is not true that we have been given more generous provisions than media overseas," Ms Boucher said. She said Sky TV had insisted on delays of between three and 24 hours before other media companies could post any footage of Olympic events. "I don't believe that just because Sky has purchased the broadcast rights for TV that they should be given the power to control how other media companies report on the Games and access athletes and video highlights. It is an event of national significance and interest." Clashes over reporting restrictions imposed for major sports events is a recurring problem now that news publishers are posting ever-increasing amounts of short video on their websites. Broadcasters who pay heavily for exclusive rights believe it diminishes the value of their investment. 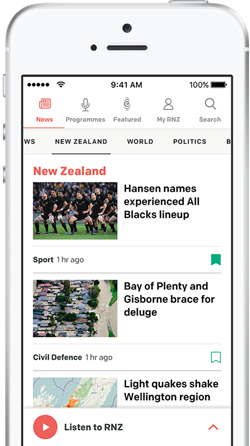 In Australia, Fairfax Media did not send reporters to the last Rugby World Cup, citing restrictions on reporters' access to events and on the publication of online video. Australian news publishers have boycotted overseas tours of the Australian cricket team because of similar concerns.